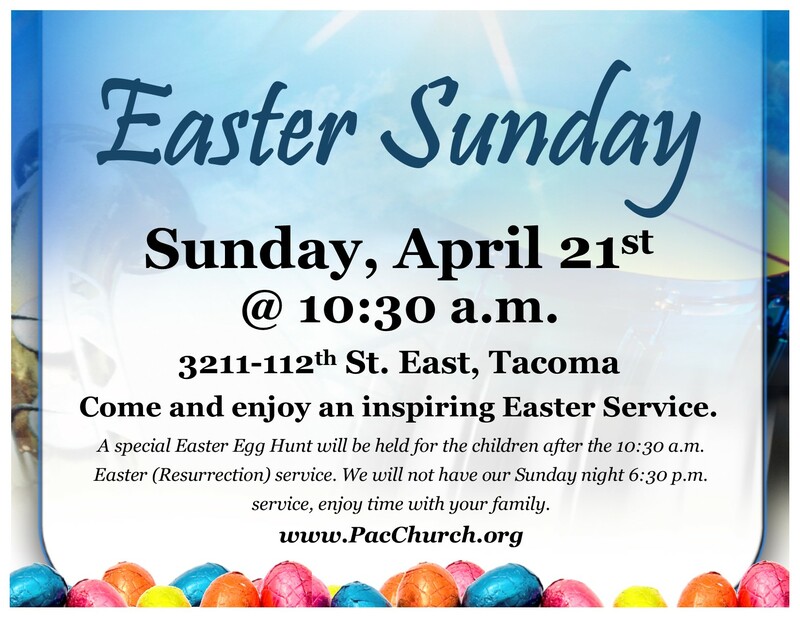 Join us for Easter Sunday on April 21st at 10:30 a.m. at Pacific Church, 3211-112th St. East, Tacoma. Come and enjoy an inspiring Easter Service. A special Easter Egg Hunt will be held for the children after the 10:30 a.m. Easter (Resurrection) service. We will not have our Sunday night 6:30 p.m. service, enjoy time with your family.